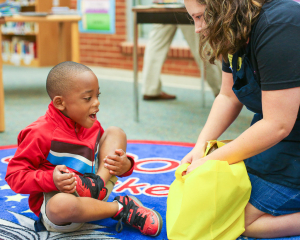 It’s time to save the date for 2016 Books for Keeps distributions, that time of year when we depend on help from volunteers to give more than 45,000 books away to children all over Athens, Atlanta, and Warrenton. This is your chance to share in the joy of giving books to students for their summer reading! School-specific volunteer shifts will be scheduled over the coming month, and we will announce when they have been set. If you are an individual who would like to volunteer at a specific school, please mark your calendar! If you are part of a group (8 to 15 people) that would like to adopt and work an entire shift at a particular school, please email Rachel Watkins to reserve a shift for your group.